Technological innovation has helped to automate a variety of activities across almost every industry, leading to a sort of efficiency revolution over the past few decades. At first, tech developers focused on straightforward tasks - like asset tracking and data gathering - but lately there has been a surge of interest in tackling more complex problems. Waste management, in particular, involves a unique set of operational challenges, the solutions to which may help pave the way to the smart cities of the future. The Hawaii State Department of Health defines waste management as "a broad category of activities encompassing the handling, transportation, treatment, storage, and disposal of wastes." These activities range in complexity from simple garbage collection to the multi-step process of sorting and recycling discarded paper and plastics. The difficulty of automating waste management significantly increases in highly populated areas, which requires a good deal of coordination to keep pace with rising garbage outputs. As countries continue to urbanize and grow their economies, waste generation will become an increasingly difficult problem to ignore. A 2018 study from the World Bank Group reported that 2.01 billion tonnes of municipal solid waste was generated globally in 2016, a total expected to rise to 3.40 billion by 2050. Of this total, the U.S. generated an estimated 262.4 million tons, which is roughly 4.48 pounds per person per day. The study also argued that around 33 percent of all waste is mismanaged on a global scale, leading to unauthorized dumping, burning and burying. While recycling and waste reduction programs have certainly slowed the flow of waste into landfills and incinerators, the overall impact is more or less negligible. The issue is that consumer goods have become so advanced that it is difficult to separate the plastic, metal and chemical components efficiently. This, perhaps, is the great irony of our times - technology improves so quickly that devices become obsolete before the end of their lifespan, forcing us to develop new technologies to scrap the old. This cycle of creation and disposal has created more problems than it has solved, but thanks to IoT-based systems we may finally be reaching a turning point. A growing interest in smart city initiatives has sparked a wave of innovation within the waste management sector, both at the corporate and grassroots levels. In part, the high operational costs associated with the collection and transport of waste in major U.S. cities has fueled this trend. 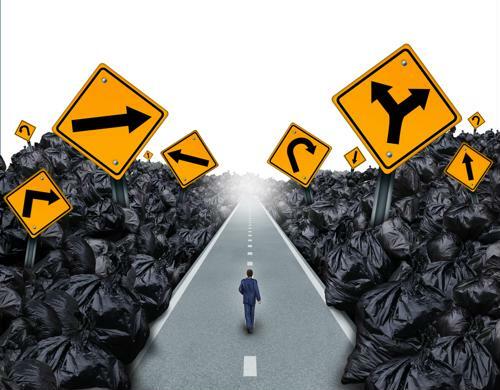 A 2019 study from Research and Markets predicted that the smart waste management market will reach $3.14 billion by 2023, expanding at a compound annual growth rate of 17.4 percent. The report points to the decreasing price of IoT sensors and the improvement of machine-to-machine learning connections as a major driver of this expansion. But what does smart waste management actually look like? 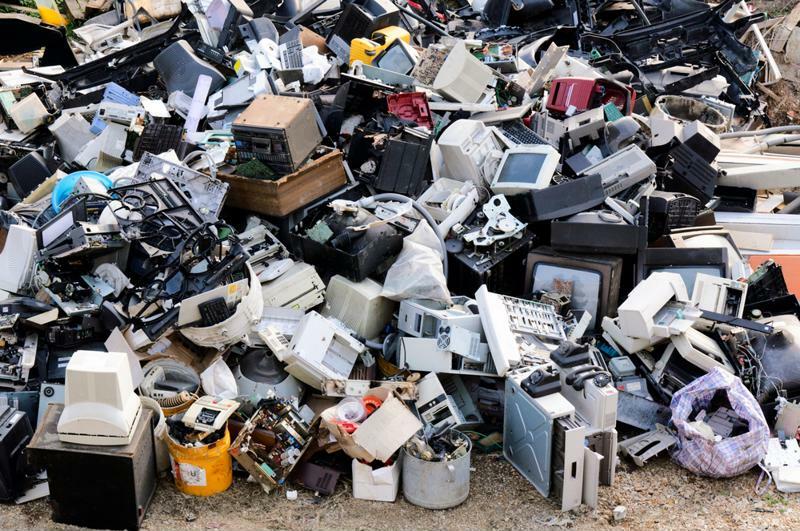 As technology improves, eWaste becomes more common. ecoATM: These smart kiosks leverage cloud computing and advanced diagnostic tools to quickly analyze the condition of outdated smartphones. Users are paid in cash to deposit their old devices into the kiosk, which determines the payout amount based on the model and quality of their phone. The project aims to reduce eWaste in landfills by sending the deposited phones to a specialized recycling facility. TrashTrack: This project seeks to better understand the 'removal-chain' in urban areas by using hundreds of small location-enabled tags to track different types of trash through a city's waste management system. The tags rely on microelectromechanical systems to provide data in real time. Forage Tracking: The Forage Tracking Project supports the efforts of informal recycling cooperatives operating in Brazil, which does not have an official recycling program. Volunteers are provided with location-detecting hardware to track their movements and activities throughout the day, helping to improve organization between the project's participants. Perle offers high-performance networking tools that can keep waste management systems running at maximum efficiency. Our industrial-grade Ethernet Switches and Console Servers are secure and reliable, allowing IT managers to focus on what really matters - network innovation. Read some of our customer stories to find out how we've helped other companies take full advantage of IoT solutions.